It feels like Christmas in the Heart Space shops- with all the lights, decor, and beautiful array of new products available. So many of you have been sharing your excitement over our new smudge sticks, as well as inquiring how they are used. We thought we would take a few moments to talk sage. Burning sage, also called ‘smudging,’ is possibly familiar from your yoga classes. Maybe you’ve seen your teacher burning a bit of sage before or after class, and have enjoyed the calming scent. But perhaps you’ve seen these sage sticks for the first time in our shops, and wondered how to use them! The sage available in our shops is dried white dessert sage, and is accompanied by an abalone shell- perfect for resting your burning sage. 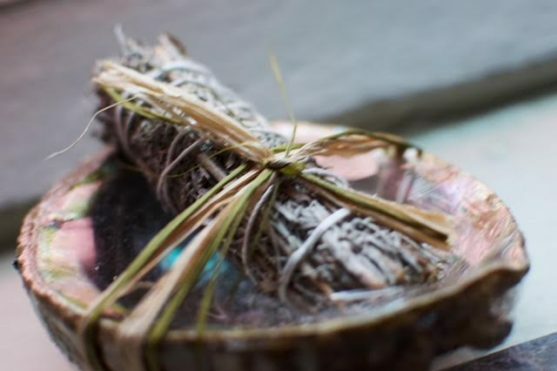 Smudging dates back to an ancient Native American ritual, in which the technique is used to dispel negative energy, and restore balance to a space or individual. Sage sticks are traditionally made with dried sage and sweetgrass- the sage drives away the negative energies, and the sweetgrass is said to attract that which is positive. 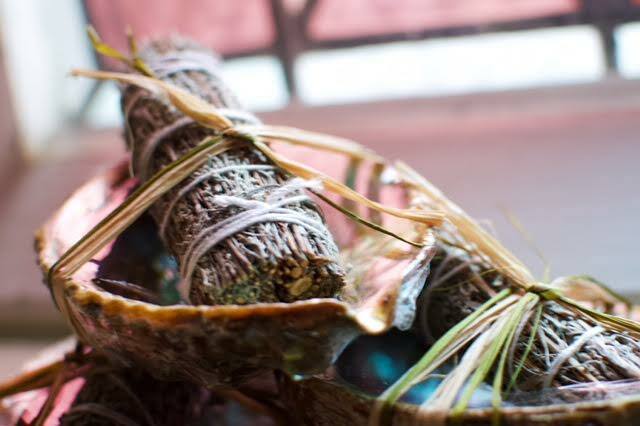 The abalone shell, representing the water element, is believed to provide healing properties, possess divine energy, and has traditionally accompanied the smudging ritual. These days, sage is often used to cleanse a space- perhaps a new home. It can also be used before or after a yoga or meditation practice, before or after houseguest visits, following arguments, after illnesses, and any instance in which one feels the need to drive away negative energies. To use your sage stick, simply light one end of the stick. If a flame lingers, simply blow it out so that you are left with a smoking end. If cleansing a space, mindfully walk through your space, trailing the smoke into corners and through doorways. You may find that you need to re-light your sage stick, depending. Once finished, set your smudge stick down on a heat-proof surface- such as an abalone shell. Enjoy the calming, meditative scent, and allow your mind to settle. 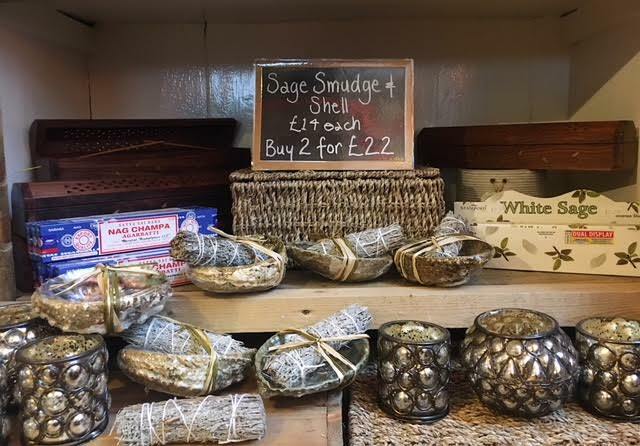 We have re-stocked our collection of smudge sticks in our shops, along with incense and accessories. Feel free to take a browse- we think these would make a lovely gift basket for the holidays… for you, or someone on your shopping list!